1. Tofu Ya! : On a cold day, their soondubu does not fail. Get the combo with the Galbi/Bulgogi. Also, their Banchan (side dishes) is so good and refillable. They were featured as part of a Food Network show. There’s actually two places on Sawtelle that has soondubu. I just like this one better because of the side dishes. 2. Asahi Ramen: I always get either the Sara Udon and the Mabo Kimchi Ramen. The Sara Udon is kind of like a fried egg noodle with gravy sauce. The sauce makes the noodle soft. This is the only place that has really good sauce with the mixed vegetables on top. I’ve tried other places and it can’t compare. Sometimes the sauce is sweet or the noodle too thick. But Asahi Ramen does it just right! Other than that, if I’m craving soup broth ramen, I get the Mabo kimchi ramen. It’s a “clear broth” not too thick. 3. 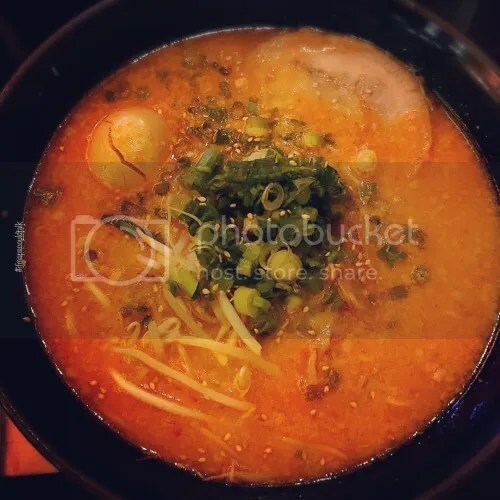 Tsujita LA Artisan Noodle and Annex: It’s just a must try. It’s Ramen brought all the way from Japan! Actually it’s made in LA but the restaurant (company) is from Japan. lol. They have the pork-based ramen and the Tsukemen (dipped ramen). They have two restaurants on Sawtelle. One is the actual restaurant and the other is the Annex. Both are usually packed with people in front. 4. Sushi Stop: Sushi Stop has about 3 restaurants on Sawtelle Blvd. All 3 also packed with people. It’s approx. $3 sushi but don’t be fooled because their sashimi and specials are more than $3. Go to the one on Olympic (the Marshall complex) as there is free parking. 5. Curry House: A franchise but it’s my default when I can’t find parking on Sawtelle. They have a hot stone chicken katsu curry that I get (pictured). Be careful it’s hot. But this place is my default because around 8 pm is when the meters are free. I can’t find parking for Tofu Ya and if I don’t want anything else, I default to Curry House for their free parking. 6. Furaibo: This also my other default as they have free parking at the back. Let the hostess know if you’re blocking anybody because it’s back to back parking. A must get is their chicken wings, torisoboro (minced pork and raw quail egg on top of rice), and karei karaage (fried flounder fish). 7. 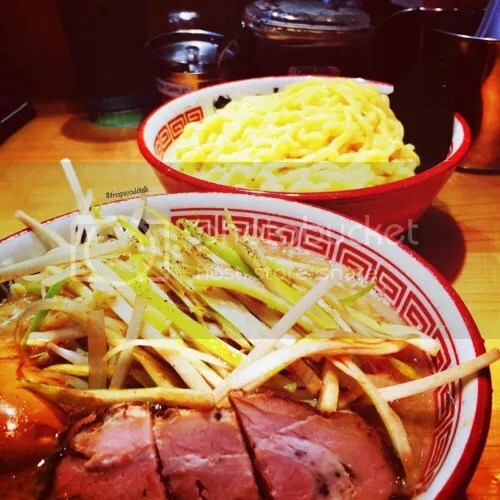 Daikokuya: I kind of prefer the one in Little Tokyo then the one on Sawtelle just because I’m biased to first one I’ve ever been in which was the Little Tokyo restaurant. However, if I’m lazy to drive to Little Tokyo, this place does the trick. Get the combo with the Ramen and Tuna Sashimi Bowl. 8. 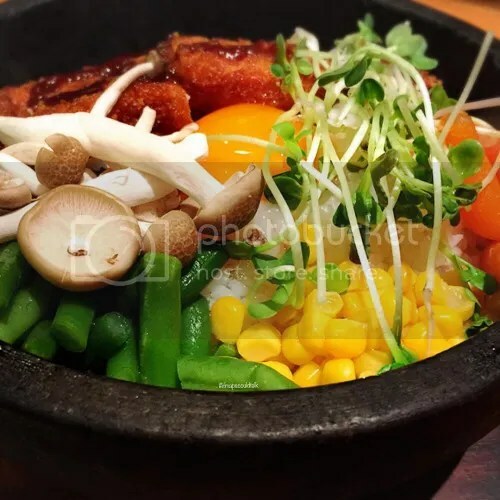 Kimukatsu: This place has really really really amazing rice! Just like how it tastes in Japan. The katsu is not that bad either but I wish it was cheaper. But the rice makes it all worth it! 9. Gottsui: This is another restaurant brought all the way from Japan. The Okonomiyaki is just how I remembered it. However, just wish it was bigger! 10. 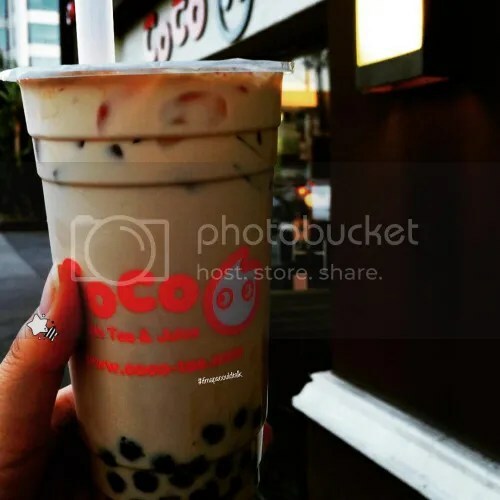 Coco: Hailing from Taiwan is this milk tea and juice place on the corner of Olympic and Sawtelle. They have validated parking. A must get when you’re on a milk tea binge. 11. B Sweet: If you want dessert, try the UBE bread pudding. It’s too die for. Apparently the owners are major Star Wars fan! (may the force be with you). I think I’ve tried most if not all of the restaurants in Sawtelle. Is there any that I’ve missed or that should be recommended? 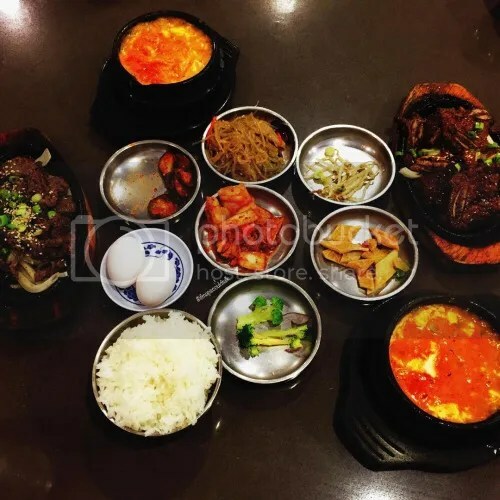 This entry was posted in Food, West LA and tagged Los Angeles, Sawtelle. Bookmark the permalink.